Because summer is the hottest and longest month in this season. Everybody is looking for a cool place to stay, like Malls or have a vacation to ease to heat. 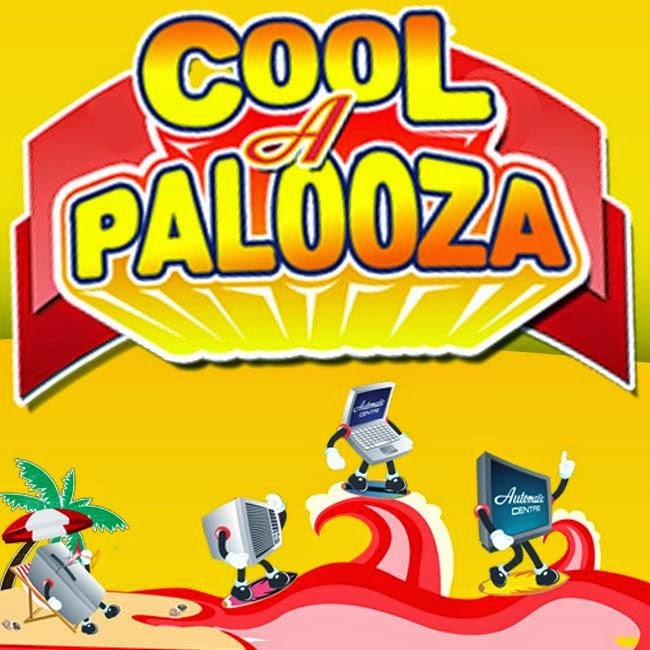 So Automatic Centre have a surprise for you "COOL A PALOOZA". 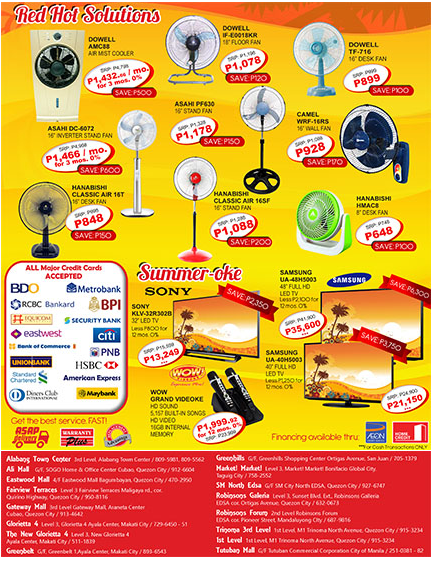 Where you can buy a cool appliances and other item you need for spending the blazing heat this summer. GET READY FOR SUMMER! 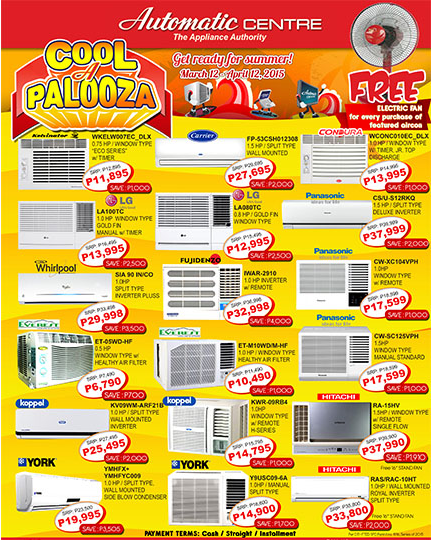 ON MARCH 12 - APRIL 12, 2015, AUTOMATIC CUSTOMERS MAY GET EXCLUSIVE CASH PRICE DISCOUNT PLUS FREE ELECTRIC FAN FOR EVERY PURCHASE OF OUR FEATURED AIRCONS. Also enjoy the Red Hot Solutions Electric Fan, LED TV and Wow Grand Videoke. You can use all major Credit Cards to avail installment fee if available. AVAIL NOW!